Davison Relationship Chart can provide insight into a relationship and reveal the main themes of it. 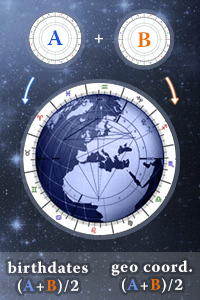 The Davison Relationship horoscope is set up for the midpoint between two birth dates and places. Quando il pianeta entrerà nel prossimo segno?